I want you to feel at home right away so things are professional and friendly. I do work out of my home but have a specific designated area for the office and treatments. I have worked this way for over ten years and it has worked beautifully for helping clients relax and enjoy their treatment. Before your treatment: There are a couple of forms which explain our policies that you will be asked to fill out and sign. They are available on this website under patient forms. If you need them to be emailed to you please let me know. Please bring these completed forms to your first visit. Doing this in advance can help save time. If not, try to arrive 20 minutes early for your appointment to fill out the initial forms. For your treatment: Wear loose, comfortable clothing for your session. Avoid perfumes and colognes. Try to have eaten a meal at least within a couple of hours before your treatment. Hunger and acupuncture do not work well together - we need nutrients in your blood for optimal treatment. Does acupuncture hurt: Acupuncture needles are typically not much thicker than a human hair and their insertion is practically painless. These are sterile, one time use needles. There may be some tingling, warmth, a sense of heaviness, or a feeling of energy (Qi) moving up and down the channels. Most people find it very relaxing and many fall asleep during treatment. Some people are more sensitive to the sensation of Qi being directed by the needles. In these cases, finer needles and fewer points are used. How many treatments will I need: Most people see improvements and results within 3-10 visits. It basically depends on how long you’ve had the condition. The longer you have had it the more treatments will be required. FYI - in Texas you must have been to your physician or dentist within the last 12 months for the condition being treated. If we do not see improvments within 20 visits or two months, whichever occurs firts, I must refer you to your physician and a form must be signed for my records. 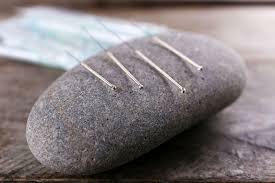 Does insurance cover acupuncture? More health insurance policies are covering acupuncture and oriental medicine. Check your individual policy. We are in the process of learning to bill insurance for these treatments.